So first of all the CV's are not as sensitive as the Cornwall's. You will need a lot of power to get them shaking. I managed to turn the volume up to 80 on my pre today it tops out at 100. And still 0 distortion....Wow.... I now have to Velcro all the pictures on the second level in my house to prevent movement . In addition all pots, pans, plates, glasses, and light fixtures on level 2 in my house and level 3 are now shaking and moving. Now if I could only get the Corwall 3's in the same room as the CV's ...Still love my Cornwall's but the CV's are impressive. Pics are in my profile. Cheers music fans! CV blazed new trails with the use of manufactured wood and wood grain vinyl in the 80's. It seemed more like pressed wood than high grade MDF. I recall how easily they were damaged when my first wife dragged them out of the house one evening and pushed them into a corner on the front porch. She called them trailer speakers. Believe they were D5s or D7s and I still have them somewhere with the foam intact. She, however moved on. At the time I powered them with a Sansui QA 7000. Has it been 33 years? Geez. 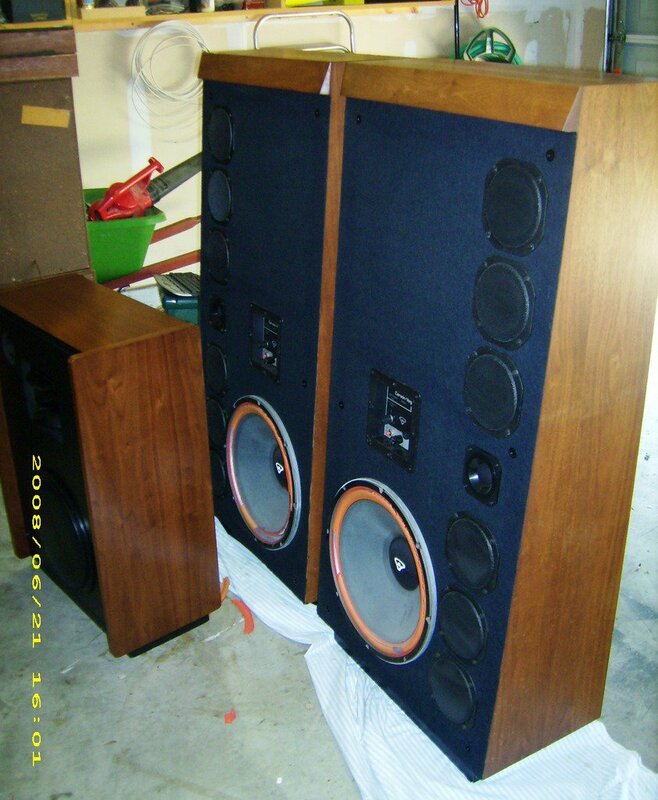 From memory, they were clean with attenuated highs but would be devoured by an L100. They do seem to be making a comeback of sorts. I never said I didn't like CV speakers. I absolutely do. 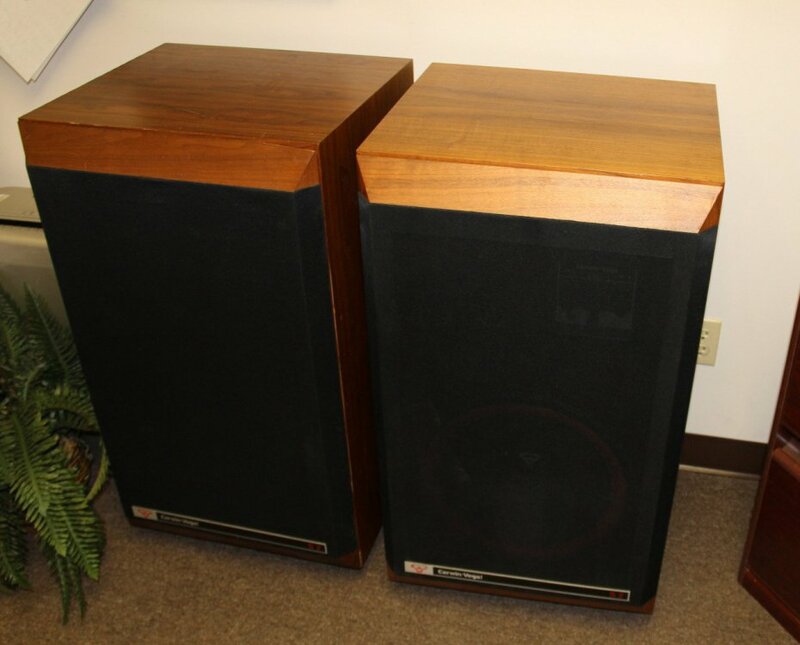 I had a pair D-8's in the late 80's and thought they were great, but I did end up replacing them with Klipsch Forte's in 1988. I also had a pair of CV HED U12's as well. 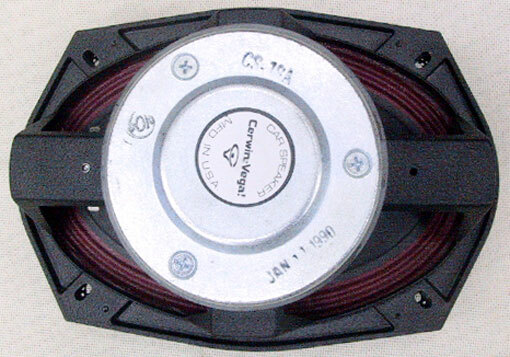 They also made the best 6x9 speaker for cars ever in the late 70's through the late 80's with the CS line, the CS-18A's were amazing. Yep....those 6x9's with the top mount circuit breakers were the bomb. I had a set of those in the back of an 81 Camaro Z28 I had in 1983. They would play anything you needed them to. I think as far as home CV speakers go, I've owned maybe 3 pairs over the years including the pair of VS-150's I bought a few months back. Damn VS-150's sound quite good after I refoamed the woofers and will move with me to the new upstairs audio room soon. I've played everything from Norah to Boston to SRV to Lyle Lovette to Heart to ZZ Top and they do all of it well and, as much as some won't like to hear, they do sound better than the '78 Cornwall's I had. I've also had the more rare Model 2000-15's that were quite different than the typical big mini fridges like the others. 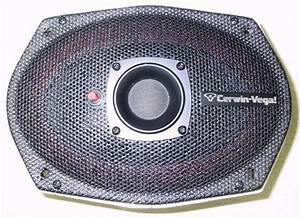 They used the usual 15" woofer with a rear slot port but used 6 mids with a center mounted tweeter in a D'Appolito array and used quite an elaborate crossover. I might have a pic of those somewhere. I hated selling them but I was selling everything off when I lived in Texas to go back to college. Also sold those one previous owner '78 Klipschorns....that sucked. Found a picture. This was before I refoamed the woofers and they are standing next to a pair of EV Interface C's for size comparison. Also found a pic of the VS-150's I bought for a song. Someone had painted the cabinets black so a little work to do there some day. Surrounds have been replaced, too. Opinions of CV are always all over the map and that's fine; we all like what we like. I've gone through so many speakers in the last 20 years (especially) and I've enjoyed every one of them that I was able to experience. The VS-150's definitely do bass better than my Belle clones so when I "need" to have that, then I can do so. I also had a rare pair of S2's that looked as great as they sounded. I had a nice pair of Interface Ca back in the 80s. They must have been a different generation as my cabinets didn’t look like that.